Earnings are coming in better than expected by the stock market, with the S&P 500 companies reversing an over year-long decline during Q3 itself. The final hustle begins on the Election front and projections thus far appear to be in sync with stock market expectations. But watch out for Halloween surprises, aka FBI. A shrinkage of stock market risk-appetite is being witnessed as the healthcare and smallcap stocks suffer disproportionately. The stock market remains adrift till the US general election results, as new capital shifts to sidelines and gets ready to react to the White House and Congressional results. The curtain is dropping on an eventful October, as the US stock market begins to ready itself for the US election outcomes. Earnings season should begin ceding center stage to election season as we enter this week. Since earnings are pivotal to maintaining current stock valuation levels, it will be helpful to look at where the scorecard stands. As of end of last week 290 companies (58%) of the S&P 500 had reported earnings for calendar third quarter. Of these, about 215 companies or 74% have reported earnings that were above the consensus estimate, as per Factset. In addition, 58% reported sales growth above mean estimate. As pointed out in detail in our last article, It’s October, And The Market Has Not Given Up Yet, the S&P 500 is expected to have its 6th consecutive quarter of negative earnings growth. However, the decline is expected to be a marginal one of -0.3%. But based on the early trends from earnings reported thus far, it appears that S&P 500 may show earnings growth of +2% for the calendar third quarter, up significantly from an anticipated decline at the start of October, according to Thomson Reuters IBES estimates. In an interesting insight, the current rate of 74% of the companies outperforming the earnings consensus is above the 70% average 1-year rate and also above the 67% average 5-year rate. Forward guidance is being maintained for the calendar fourth quarter, with 233 companies of the S&P 500 companies keeping guidance unchanged, while 36 companies have issued negative earnings guidance, and 21 have issued positive guidance, as per Factset. Technology earnings are expected to provide a strong assist to both S&P 500 and Nasdaq, and that has been the case so far. In fact, the biggest drag on the Information Technology sector, represented within S&P 500, was the earnings of behemoth Apple (AAPL). When Apple reported over a week ago, it improved on the mean earnings estimate. In the meantime, other technology bellwethers like Microsoft (MSFT), Google (GOOG) (GOOGL), and Netflix (NFLX) significantly outperformed their mean earnings estimate, while Amazon (AMZN) went the other way, widely missing its estimate. Facebook (FB) will report this week on November 2. The chapter of shallow profit recession, with lowest quarterly earnings growth of only -5.6% which occurred in the first calendar quarter of 2016, is on the verge of being closed as the market moves to a new chapter of improving earnings growth through 2017. However, nothing is without wrinkles as one of the top-tier investment banks reduced its earnings growth rate estimate for S&P 500 for 2017. The US Presidential election outcome is becoming relatively clearer, even though post-Brexit anxiety keeps investors and corporate spending in a state of suspension, particularly with last minute news that may still influence elections. The market anticipates a Democratic victory in the White House and that expectation appears to hold presently. The interest is now focused on the state of Congress. The Senate is "in-play" with a higher probability of a "flip" in control from Republicans to Democrats. The Democrats have a 67% chance based on the statistical website Five Thirty Eight. But it's still far from a done deal. In the meantime, the House race is showing a gain for Democrats but not a strong shift to augur change of control. The House still remains safe House for Republicans, with a much lower probability of sub-20% favoring a "flip." An electoral wave is required to shift House control and there is no evidence of such a wave. 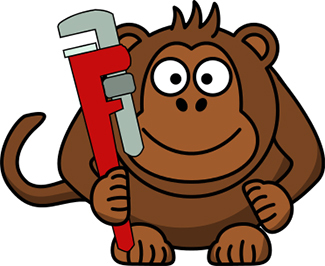 Last Friday's surprise announcement of a resumption of an email server related investigation by the FBI has thrown a monkey wrench into the election process. Although polls are not yet available, one would anticipate that the new information may not be sufficiently clear and clinching enough to require a recalibration of the market expectation of a Democratic White House win. Nonetheless, the news has the potential to enhance market volatility particularly if it causes a meaningful shrinkage of the gap between the two candidates. Furthermore, the news can prove to be hurtful to the Democrat chances for control of Senate, while putting the House even further out of reach. Ironically, the impact of this news on Congressional control should only be more comforting for healthcare investors. No other investment sector has more riding on the Congressional control battle than the Healthcare sector, particularly the pharmaceutical and biotechnology companies. A split or Republican Congress reduces the likelihood of a sweeping price-control legislation. In a recent Seeking Alpha article titled, Biotechs Fearing An Election Sweep, Erroneously Turn Tail, we had discussed in greater detail the election pressures on the sector. Looking at the polling data thus far, one would have thought that the healthcare sector would find some reassurance in the way things stand. But the state of healthcare as reflected in the stock market suggests a higher probability of impending doom. There is a miasma of despair around Biotech stocks, with the larger-cap ETF of Biotech stocks (IBB) declining -10%, and the relatively smaller-cap Biotech ETF (XBI) declining nearly -14% for the month of October. The steeper decline of smaller-cap biotechs also suggests a growing risk-aversion, particularly in the context of small-cap index Russell 2000 (IWM) declining -5% so far in October, compared to larger cap indexes S&P 500 (SPY) and Nasdaq Composite (QQQ) declining -2% each. We pay close attention to the smallcap space not only because of our Graycell Smallcap Portfolio, but also because small caps are a good barometer of stock market risk appetite. So far, earnings for healthcare and biotech companies have been generally better or as expected. Merck (MRK), Bristol Myers (BMY), Sanofi (SNY), Biogen (BIIB), Seattle Genetics (SGEN) and Celgene (CELG) have all reported strong earnings and forecasts. However, leading biotech Amgen (AMGN) reported strong earnings for the quarter, but had a lower forecast for 2017, compared to consensus, while Novo-Nordisk (NVO) disappointed by lowering guidance due to weaker insulin prices. Biotech juggernaut Gilead (GILD) and largest pharmaceutical Pfizer (PFE), along with Incyte (INCY), report early in the week on November 1, followed by Regeneron later that week. A point of note here is the Federal Reserve meeting on November 1 and 2. Can this FOMC meeting be casting a shadow on the market? At this time, there is a growing consensus for a quarter-point December rate hike with a 70% probability, and a very low probability of less than 10% for a November move. A stronger than expected third-quarter GDP report bolsters the argument for increasing rates this year, even though a large part of the increase was related to inventory buildup. But the rate increase will most likely not occur in November, particularly as the Federal Reserve regional banks have been trimming down the GDP forecasts for 2017. 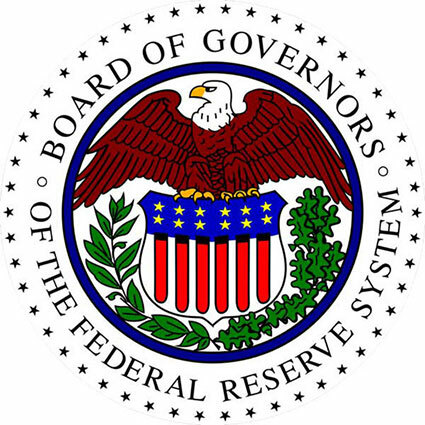 The post-meeting commentary will shed more light on the Federal Reserve's inclination to move in December. The rising Treasury 10-year Note yields is adding to the pressure, with the global bonds having the worst month in October since 2014, with the Bloomberg Barclays Global Aggregate Index declining nearly 3% for the month. This further adds to the risk-averse sentiment. Earnings have generally been in-line and supportive of valuations, while the election outcome thus far appears to be tracking along a path anticipated by the market. Nonetheless, the smallcap space and the healthcare sectors are suffering due to a shrinkage of risk appetite. Anytime risk averseness increases, the speculative sectors of the market are affected first. 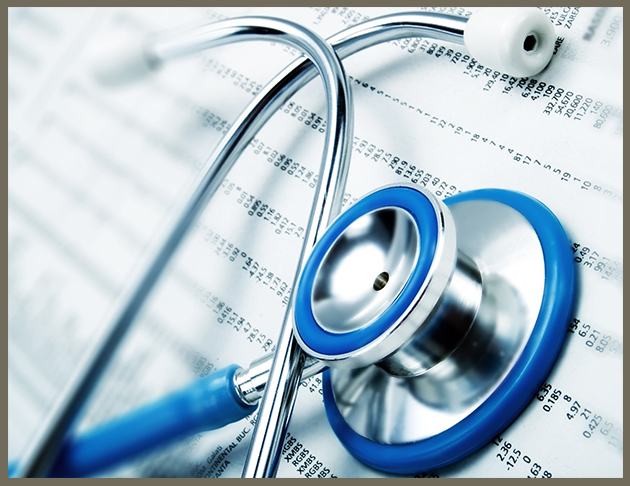 The broader market is drifting down, but not adversely affected to the same extent as the smallcap and healthcare segments. 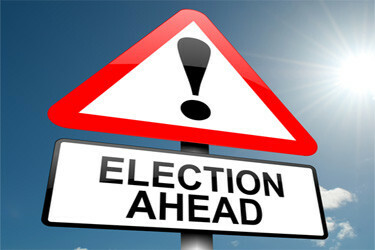 The two risk-events coming-up are the Federal Reserve meeting on November 1-2, and the General Elections on November 8. Is the market beginning to incorporate a possibility not being anticipated by a majority of polls? After all, investor behavior has been modified post-Brexit. Could this shrinking of risk appetite in smallcaps and healthcare be related to a normal tendency to drawback before a major risk-event or suggestive of more market turmoil? While we lean strongly towards the natural tendency to retreat in the face of risk-events, as being the answer to recent market behavior, it's also clear to us that both the risk-events have to be resolved for the market to make further progress. Till such time, capital will not be committed to the stock market and there is nothing else to expect but a drifting broader market, a suffering healthcare sector, and a state of regret. However, the ongoing situation also creates the possibility of a slingshot on November 9 and thereafter, as the market overcomes the tentativeness and begins its surge, provided a resolution occurs in sync with expectations. While we believe the smallcap and biotech semi-meltdown will turn out to be an overreaction as the market discovers a more benign reality post-elections than it's assuming presently, at this time it's prudent to be watchful as we enter November, and to commit capital carefully on opportunities that become more compelling. 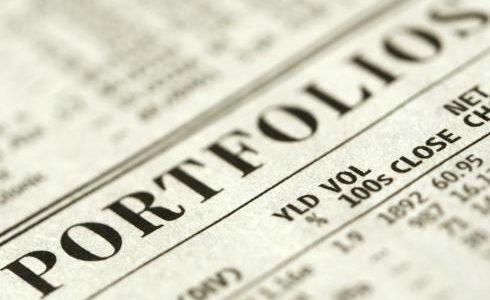 NOTE: Graycell Advisors and Prudent Biotech publishes stock portfolios for investors and registered investment advisors (RIA) based on a systematic investing strategy driven by quantitative models. If you wish to learn more about the Portfolios, Historical and YTD Performance, and View Samples, kindly click on the links above.